Facial skin care should not always be done in beauty clinics or similar services. 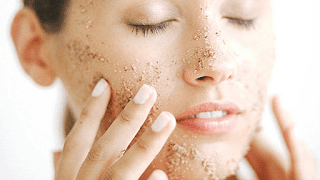 Keeping facial skin healthy can also be done at home easily and cheaply. Various things can affect skin health, ranging from sun exposure, exposure to tobacco in tobacco, UV radiation, to age. For those of you who have dry skin, you can utilize avocado as a mask. The way is quite easy, prepare an almost ripe avocado and mix with a teaspoon of olive oil, stir until well blended. Use as a mask and let stand for 15-20 minutes, then rinse thoroughly. For those of you who have severe dry skin problems, mixing the mask with a tablespoon of honey is recommended that the skin can become more moist. Not only for consumption, oatmeal can also be used as a natural face mask, especially for those of you who have oily skin problems. Therefore, oatmeal able to absorb excess oil in the face. To utilize oatmeal as a mask, you can mix ½ cup of oatmeal with hot water, and stir until it forms a paste. Then mix with 1 tablespoon of honey, stir back until evenly and apply to face. Gently massage for 3 minutes before rinsing with warm water. For those of you who have acne prone skin, utilizing cucumber as a face mask can be an option. You can smooth the cucumber, take the juice. Then add a tablespoon of sugar, stirring until evenly distributed. Apply cucumber mask and sugar mixture to face evenly and leave for 10 minutes before washed with cold water. This mask is suitable for all skin types. To take advantage of lemon and egg whites as a mask, you can mix ½ lemon juice with 1 egg whites, and stir until evenly distributed. Afterwards, apply the mask to the face. It is recommended to use this mask before bed and rinse with warm water the next morning. Scrubbing will remove dead skin cells on facial skin, so the skin looks brighter. It is recommended to do scrubbing regularly in accordance with the type of skin owned. For those of you who have dry skin, it is advisable to do scrubbing at least 1-2 times a week. Meanwhile, for you who have oily skin, it is advisable to do scrubbing as much as 2-4 times a week. For scrubbing, you can use instant scrubs of various products according to the type of skin owned. Scrub can also utilize the materials at home. Mix ½ cup of sugar with 3 tablespoons of olive oil, and stir to form a paste. Apply to face and massage with circular motion for 1 to 2 minutes, then wipe with warm water. Wash your face regularly is recommended at least twice a day in morning and before bed. Use a face wash that suits your skin type. After washing your face, apply toner to face using cotton. The use of toner can lift oil, dirt and makeup remnants that may still stick even though you have washed your face. Toner is also useful to help rebalance the pH of the facial skin. Moisturizer should be used after washing the face to clean. For those of you who have acne and oily skin, choose a mild moisturizer and oil-free. The use of sunscreen is useful in protecting the skin from UV exposure that can cause skin discoloration, the appearance of spots on the face, wrinkles and skin cancer. It is recommended to apply sunscreen with SPF 30 to face and skin every day even though the weather is not hot even. Various facial skin care to maintain skin health, should be balanced by getting used to eating healthy foods such as vegetables and fruits every day. Also stop smoking, avoid stress and make sure to drink enough water to prevent dehydration. You can also consult with a dermatologist, to get a recommended facial skin care treatment at home.